The Pakistan Cricket Board (PCB) has laid out a strategy to adopt legal recourse against the Board of Control for Cricket in India (BCCI) for not standing to their commitment of playing a bilateral series. In 2014, both boards signed a Memorandum of Understanding (MoU) which stated that the two arch-rivals will play six bilateral series between 2015-2023. According to the 2014 agreement, India was scheduled to play six series against Pakistan, four of them were going to be Pakistan's home series. 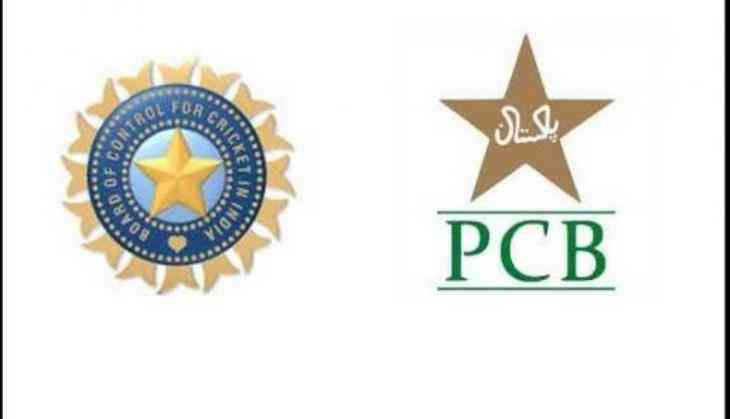 While the BCCI has repeatedly snubbed Pakistan's request for resumption of ties, the PCB wants the Indian cricket board to honour its commitment under the MoU signed, which is subjected to clearance from the Government of India. Pakistan was expected to generate bulk of revenue in these eight years from hosting India but since BCCI denied playing the series in wake of tensions between the two countries, the PCB is suffering huge financial losses due to it. Earlier this year, BCCI rejected the PCB's demand for compensation for not honouring the MoU, saying that the MoU was not binding and also raised the issue of security problems in Pakistan. As reported by Express Tribune, in a meeting planned on July 28, PCB chairman Shaharyar Khan will take other board members into confidence about legal consultations. The legal battle will take place in front of the International Cricket Council (ICC) dispute resolution committee. If the concerns of PCB will not be addressed then PCB might avail the option of not playing against India at ICC events. In May, the PCB had sent a legal notice to its Indian counterpart for failing to honour the MoU. The PCB had also demanded compensation close to USD 60 million from the BCCI for not honouring the MoU signed when N. Srinivasan was at the helm of affairs in the Indian board. Despite not playing a full-fledged bilateral series against Pakistan since the 2008 terror attacks in Mumbai, the arch-rivals have played each other a number of times in the ICC events, with the most recent coming at the 2016 ICC T20 World Cup. Although, Pakistan toured India for a short series in December 2012.